How was your day? Mine was a bit of rain and shine, literally. 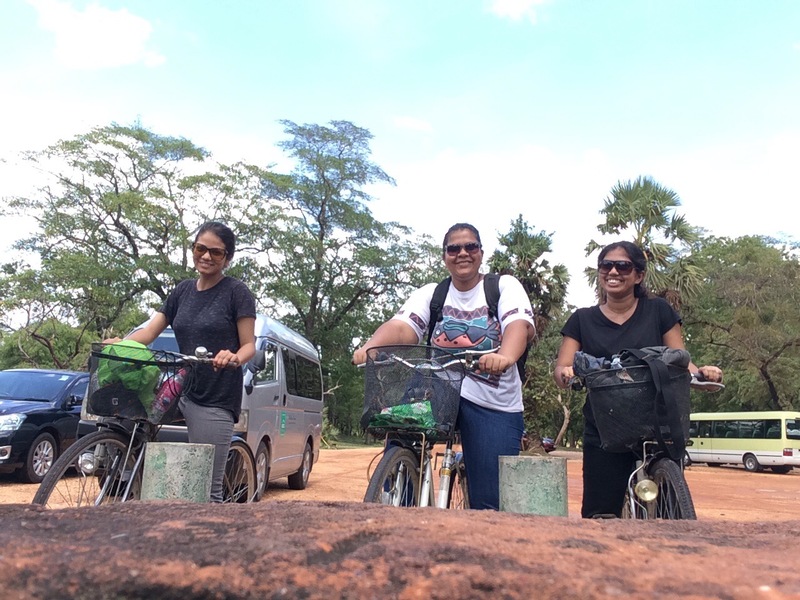 We were in Polonnaruwa this morning. We left Minneriya at 0800h and got there in about an hour. We rented bicycles at LKR 400 each, a total rip-off but then the rental chap said “10-12 kms” when in actuality it was just four or something. Hayyo. We had to go back to the museum area because of our Nepali friend and no, I didn’t ride down the main road, too chicken for that noh. Teehee. Also, before you ask, yes I did fall! It’s been a while since I bicycles and lol. Nothing too scary, just a few bruises that will turn blue tomorrow. The weather gods were not in our favour however, was raining on and off and meh. The museum was quite swell though, highly recommend to museum enthusiasts. Despite the falls, the bicycle ride was calming. It’s a pity I can’t do more of it in Colombo, on straight roads that is. Haha. It’s almost about publishing time so going to end it with a couple of pictures. Will be heading to Sigiriya tomorrow.